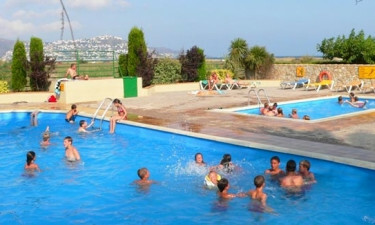 Castell Mar - Costa Brava, Spain - Book online at LUX- camp today. This popular LUX-camp is situated in the Costa Brava region of Spain and a beautiful sandy beach is just a short stroll away. This makes the perfect base for sun worshippers and people who book a luxury tent or mobile home will have plenty of opportunities to spend time on the beach here, while an enchanting harbour set with a large selection of shops, bars and restaurants are also just a short walk from the site. This part of Costa Brava is also known as Little Venice and taking a boat trip along the extensive canal network is an experience that should not be missed. What Makes Castell Mar So Special? The children are sure to love meeting and interacting with the animals that can be found at the onsite farm, while the children’s club offers plenty of opportunities for kids of all ages to make new friends and have fun. In addition to playing all sorts of games, children will also be able to take part in special workshops, join a talent competition and let off a little steam at the disco. Those who enjoy being active while they are on holiday will be able to take part in a wide range of different types of activities while staying at Castell Mar. both bikes and running clubs offer adults the opportunity to make friends with likeminded guests, while the aqua gym is a great place to get fit with special aqua aerobics classes. Anyone with a competitive streak will be able to take part in football and bowls tournaments, while there are also plenty of opportunities to join a casual game. This luxury camping site provides an excellent range of evening entertainment options for the whole family to enjoy. Films are shown in the evening on the large outdoor screen and this is a great way to unwind in the early evening, while a whole host of special shows are held on the main stage ranging from cabaret shows to comedy, traditional flamenco dancing demonstrations and comedy. Sampling fine Spanish cuisine at the onsite restaurant is an experience that fans of luxury camping are sure to enjoy. This restaurant specialises in paella, freshly caught seafood dishes and grilled meat, which can be enjoyed on the terrace to soak up the scenery at the same time. The site also features a pizzeria and guests can order slices to take away and enjoy in the comfort of their bungalow tent. 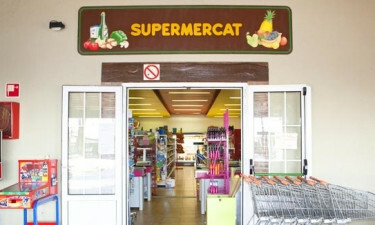 If the perfect luxury holiday for you means enjoying classic time in the kitchen cooking, you’ll be pleased to know there is an excellent range of grocery products in the onsite supermarket. Visitors will also be able to shop for fresh local produce at the nearby farmers’ market, which is held every Sunday close to the harbour.